Coming SOON to the Lakeland Brewing Company - yoga at the brewery! Beginning August 13th from 12 - 1 pm, I'll be leading asana practice. 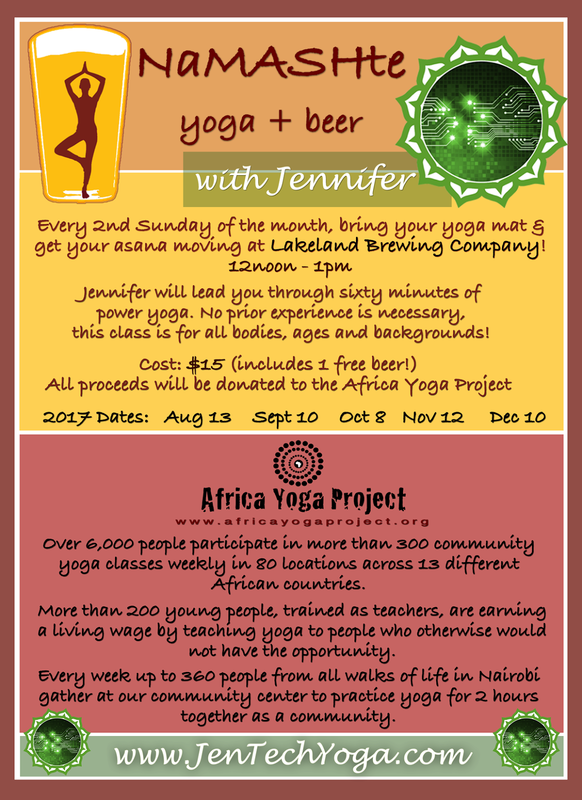 $15 cover charge for yoga and your first beer is free!! All proceeds will be donated to the Africa Yoga Project! 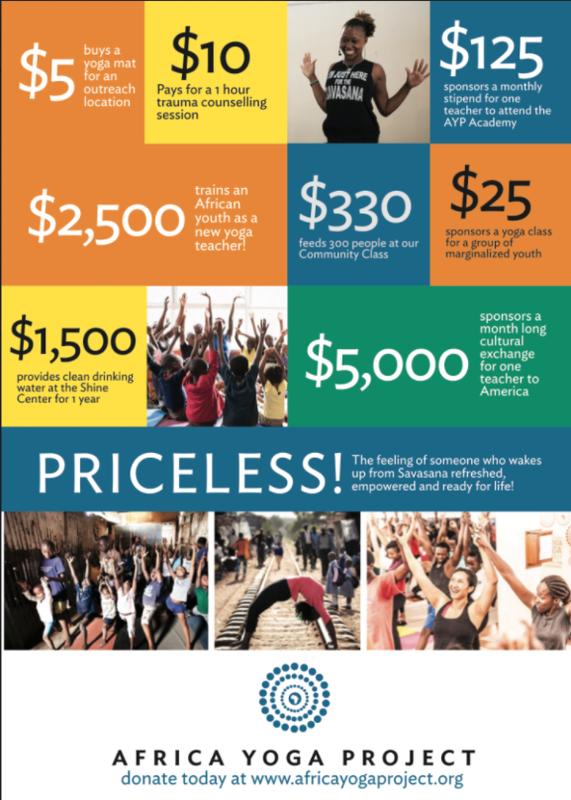 More than 200 young people, trained as teachers, are earning a living wage by teaching yoga to people who otherwise not have the opportunity.